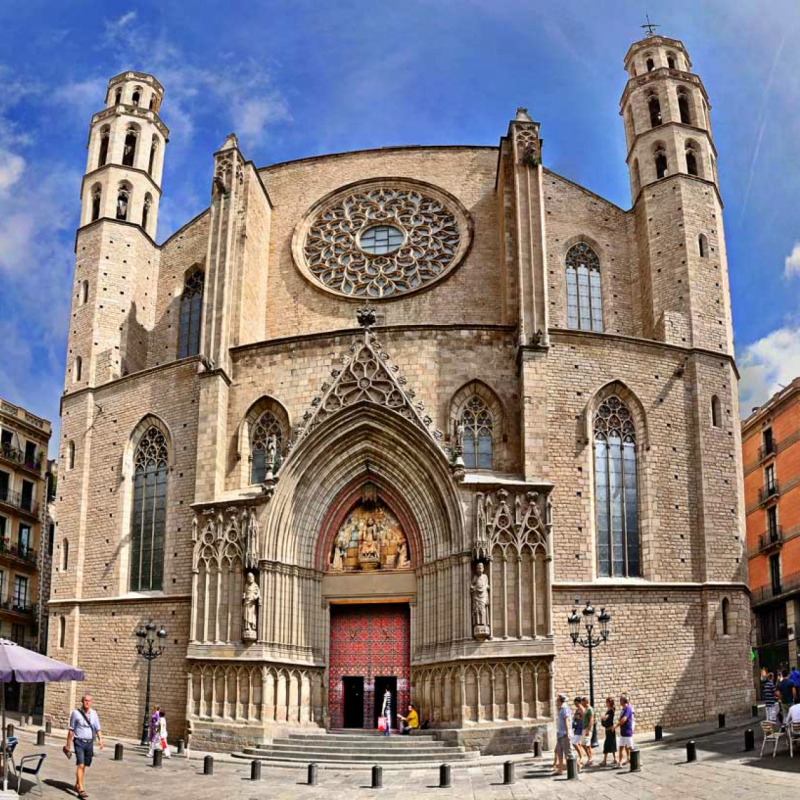 In Barcelona there are hundreds of things to visit, but visiting Barcelona's churches is a good way to get to know its history and culture. The Catalan capital is a city that has a large number of churches, almost 200, that's why from Midtown Luxury Apartments we want you to discover 4 magnificent Gothic churches in Barcelona. In the Gothic quarter is the Cathedral of Barcelona or Cathedral of the Holy Cross and Santa Eulalia. A Gothic-style cathedral, built during the 13th and 15th centuries, made up of three naves and numerous chapels. The visit of the temple and the cloister is totally free, but if you want to visit the choir, the terraces, the museum, the chapels, and so on. You must pay an entrance fee of around 7€ which includes the guided tour. We leave you the link for more information. Located in the neighborhood of La Ribera is the Basilica of Santa Maria del Mar. It was built between 1329 and 1383 and is one of the best examples of Catalan Gothic. For some years it has been among the places of greatest interest among tourists. This is thanks to the well-known books; The Cathedral of the Sea and The Angel's Game of the Barcelona writers Ildefonso Falcones and Carlos Ruiz Zafón, respectively. It is possible to visit it free of charge every day from 13:00h to 17:00h, however, it is also possible to do a guided tour that costs about 10€. We leave their website so that you can consult any doubt. 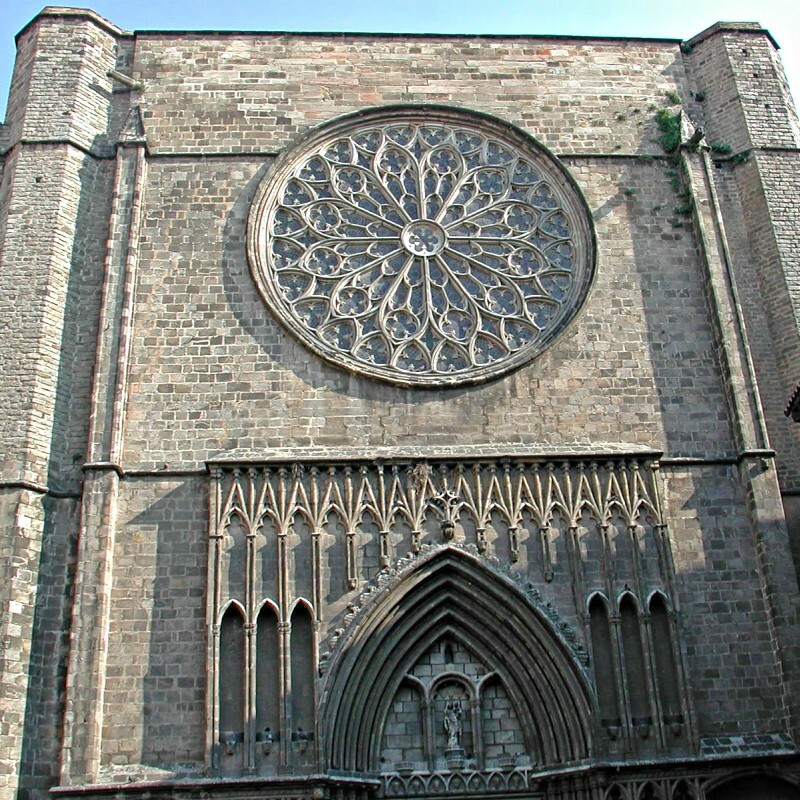 This parish church is located in the Gothic quarter of Barcelona, in the Plaza del Pí. The church was built at the beginning of the 14th century. The visit to the interior of the church is free of charge, but it does not allow access to areas of interest. However, if you want to access all the spaces, the price of the entrance varies depending on whether you decide to go for a free or guided tour. The church of Santa María del Pi has a large number of elements, both historical and architectural, that make it special. You can find out more by visiting its website. 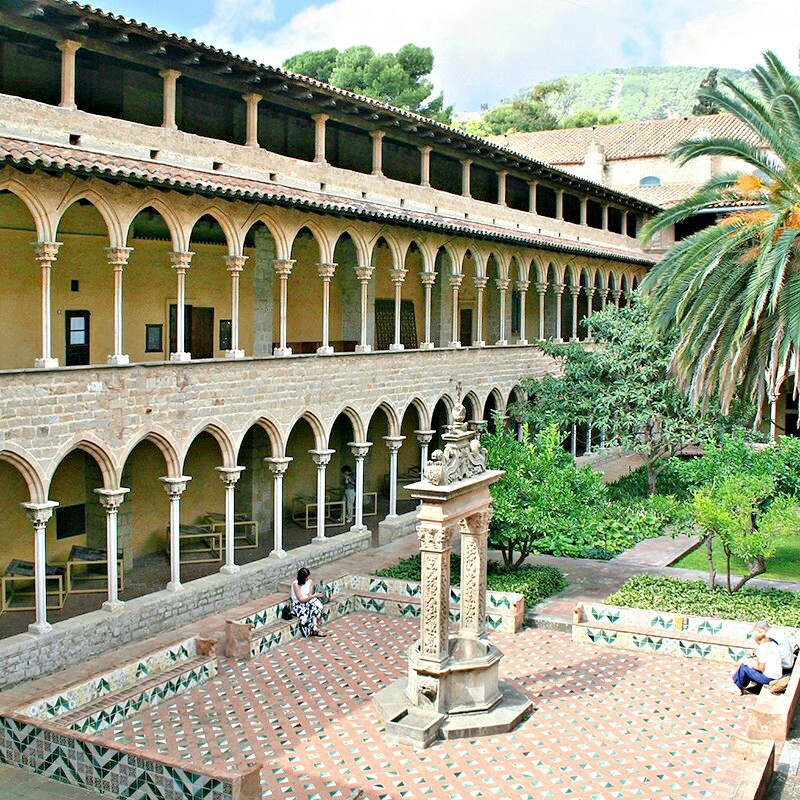 The Royal Monastery of Santa Maria de Pedralbes is one of the many jewels hidden in Barcelona. It was built in Catalan Gothic style in 1327. A building made up of a three-storey cloister and a church. If you wish to visit it, you should know that it is closed on Mondays, and that it has a winter and summer visiting hours that you can consult on the website. The price of the general ticket is 5€. 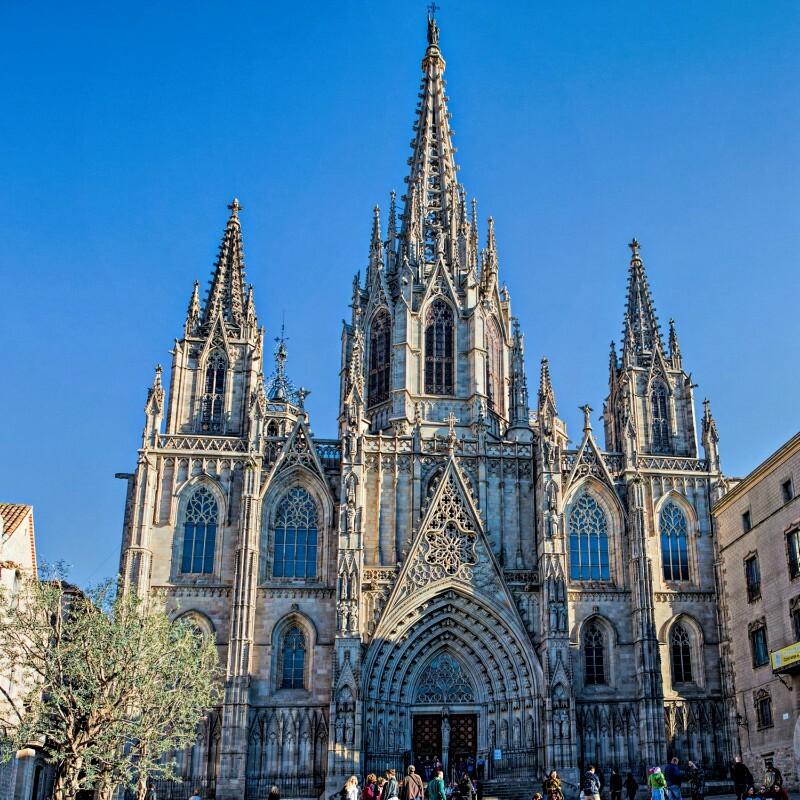 We hope you liked this article about some of the most beautiful churches in Barcelona. Remember that if you are thinking of travelling to Barcelona Midtown Luxury Apartments are your apartments of confidence. Just 10 minutes from the city centre, you can stay in a luxury apartment and feel at home.